When a line needs to be thrown from the vessel either to shore or someone in the water it is important that the line be able to extend to its full length without knots or tangles. The bitter end (the unattached end of the line should be secured to a cleat on deck. 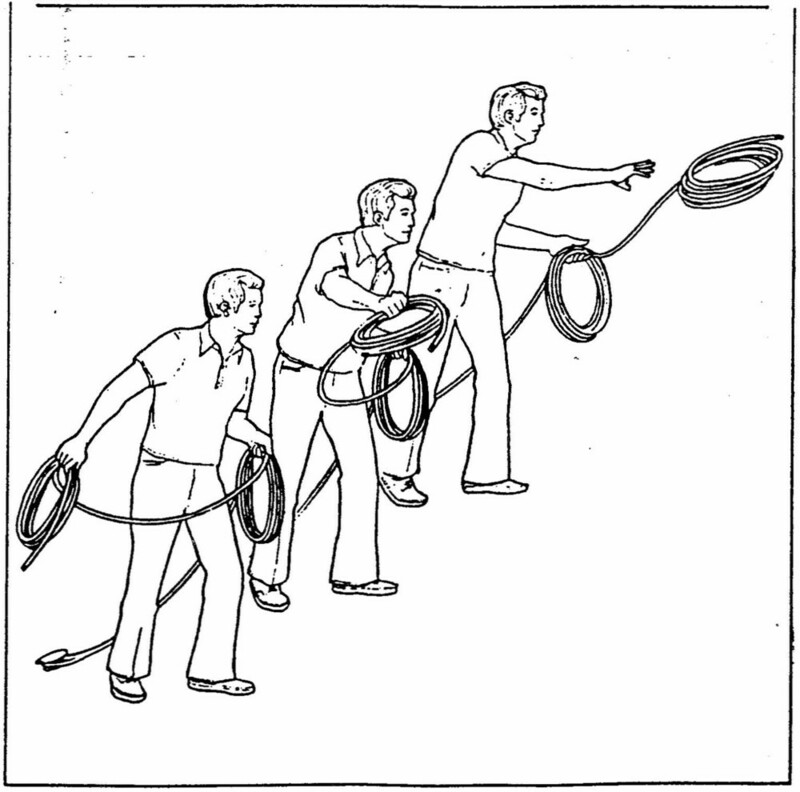 Take the coiled line in your throwing hand, shift half of the coil to the other hand. Swing the throwing hand back and forth to build up momentum. Release the line from the throwing hand and let the line payout open hand of the other arm. In windy conditions or if the line is too heavy to throw the needed distance, a lighter heaving line may be attached. The line should be thrown in the same manner and once received ashore the heavier line can be pulled in.